“It’s often said that [Eagle Rock] is a place where hipsters go to die or go to have children,” said Jay Duplass, beloved filmmaker and Eagle Rock resident in an interview with Deadline. Although the ‘hipster haven’ stereotype is erring on unbearable, Jay’s statement does hold some weight. Eagle Rock is nestled near Pasadena beside Highland Park, and both northeast neighborhoods, though they'd never admit it, tussle for the 'coolest neighborhood in LA' title. 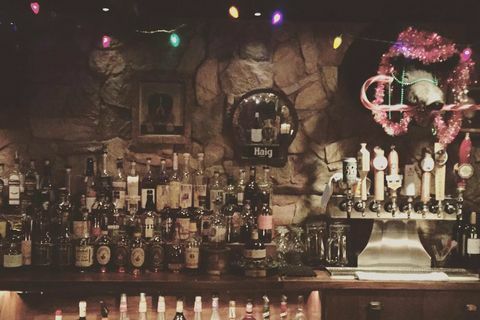 If they were a set of twins, Highland Park would be the striking moody one with the leather jacket and perfectly imperfect hair who always knows where the the party’s at; Eagle Rock would be the cute, but quiet and criminally overshadowed sidekick. 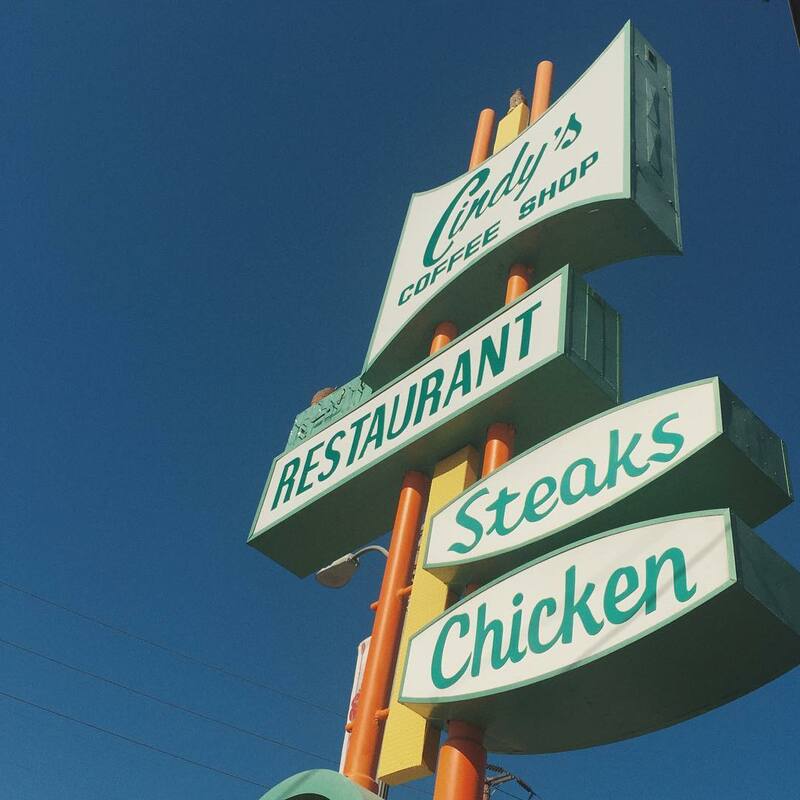 While each adjacent neighborhood boasts its own delightful idiosyncrasies, Eagle Rock is the foodie’s paradise of the Eastside. And at the heart of the oasis is Little Beast. 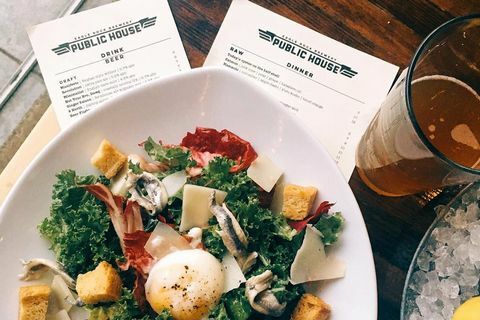 This cozy neighborhood favorite is known for its locally sourced American comfort food by husband and wife team Deborah Schwartz-Lowenthal and Chef Sean Lowenthal. 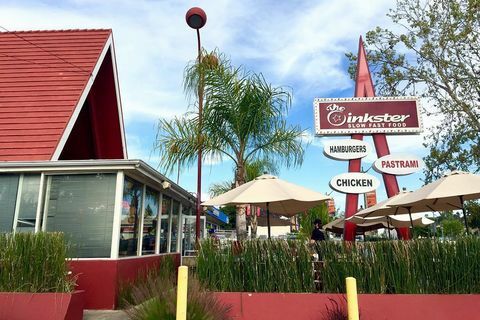 “Eagle Rock is diverse, creative and charming, and is super central to so many parts of Eastside LA we are drawn to, and are proud to live in. 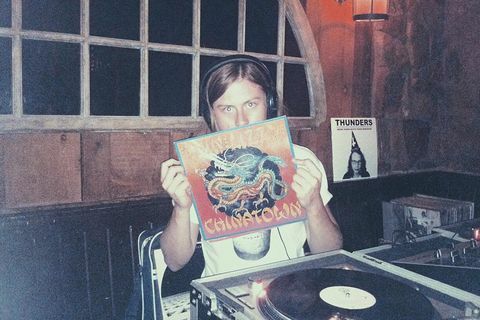 We love how raw and real and somewhat unchartered Eagle Rock is, and it is the communities like this that make LA so unique and great,” says chef Sean (formerly sous chef at Chateau Marmont). Reserve a table on the cozy patio for a hot date or take the kids out for a round of Little Beast Burger Jrs. Fun fact: the restaurant is named after the couple’s very own “little beast” AKA their son, Miles, who has a large impact on the kids menu and is a gourmand in his own right, according to his dad. Since opening in 2013, Little Beast continues to charm locals and LA foodies willing to make the trek for soulful sustenance. 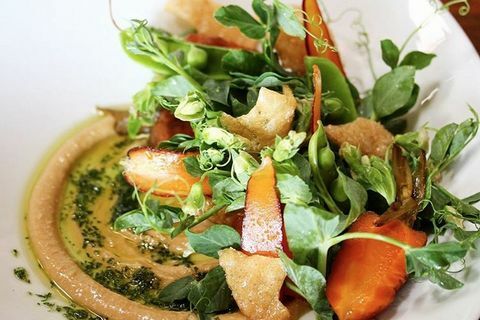 Under the direction of Chef de Cuisine Jose Perez (formerly of Palihouse), the Eagle Rock institution was just named one of LA’s best neighborhood restaurants by LA Magazine. 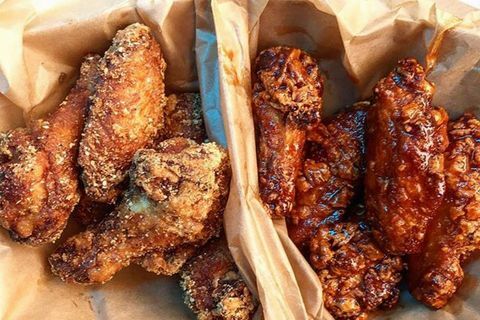 “We attribute a huge part of Little Beast’s success to the fact that we are in Eagle Rock, and we are proud to be a part of this community,” Sean says. 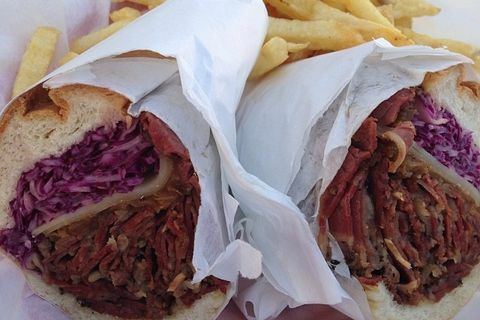 Sean Lowenthal: The Oinkster Pastrami sandwich is the perfect combination of warm pastrami, cabbage and gruyere. SL: Go to this diner for the delicious Smoked Brisket Reuben sandwich—untraditional because it has brisket. Their house smoked brisket is incredible. SL: The rotisserie chicken here is perfectly cooked and seasoned. Super simple and delicious. 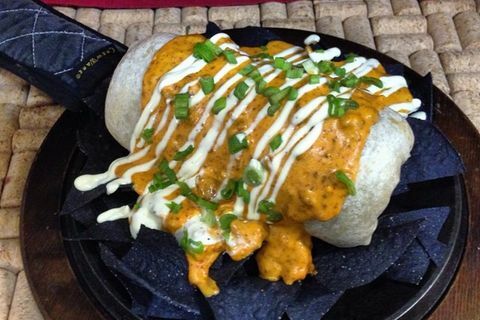 SL: Go for the Smothered Carnitas Burrito with perfectly cooked and seasoned carnitas with insanely delicious red chile sauce. SL: All the ingredients Jerry uses are top notch, and his technique elevates the ingredients further. Have a fancy, beer-drenched delicious dinner. SL: The bourbon and whiskey selection is on point and the music the DJ spins is fantastic! It’s obscure, but super cool. SL: Come here for killer rotating draft selections, the best on this side of town. 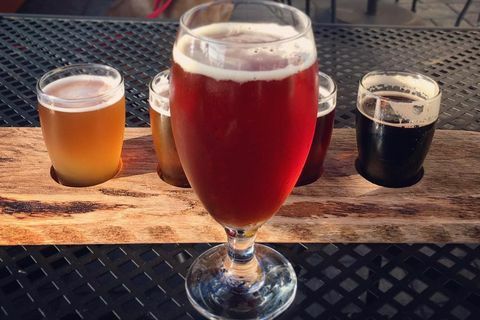 They also have a small bar where you can get a flight tasting of beer to see which ones you love, and then kick it on the patio. 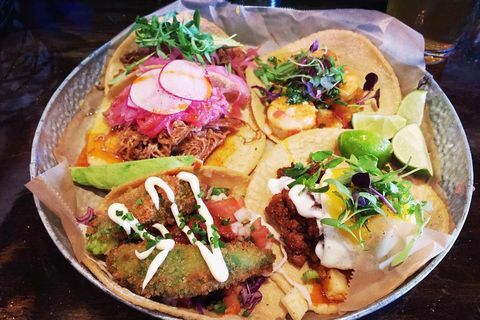 SL: The tacos are authentic and fantastic and it’s a nice pre-shift ritual with our kitchen staff to get some tacos before service. 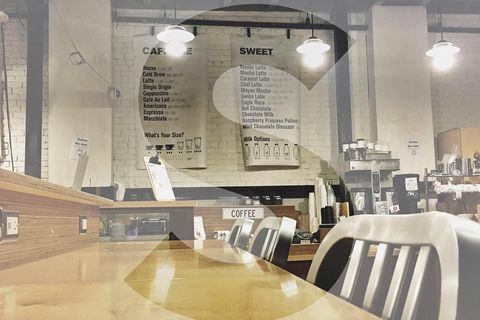 SL: The cool owners of this coffee shop who were pioneers of Eagle Rock. They opened over 15 years ago. 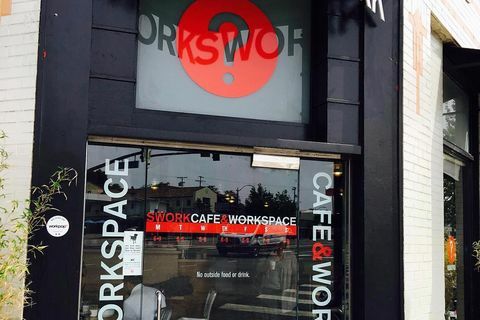 Swork is a super cool and comfortable coffee shop where you can work while you enjoying delicious caffeine. SL: Cute coffee shop on our side of Colorado Blvd. It has a good vibe and beautiful La Mazocca espresso machine. Lodging with Old Hollywood glamour, plus a pool, an intimate restaurant & an elegant cocktail bar. Gourmet burgers, specialty sandwiches & craft beers are served in a hip hangout with retro decor. A selection of British brews plus soccer on TV in a classic, wood-paneled setting with a fireplace. 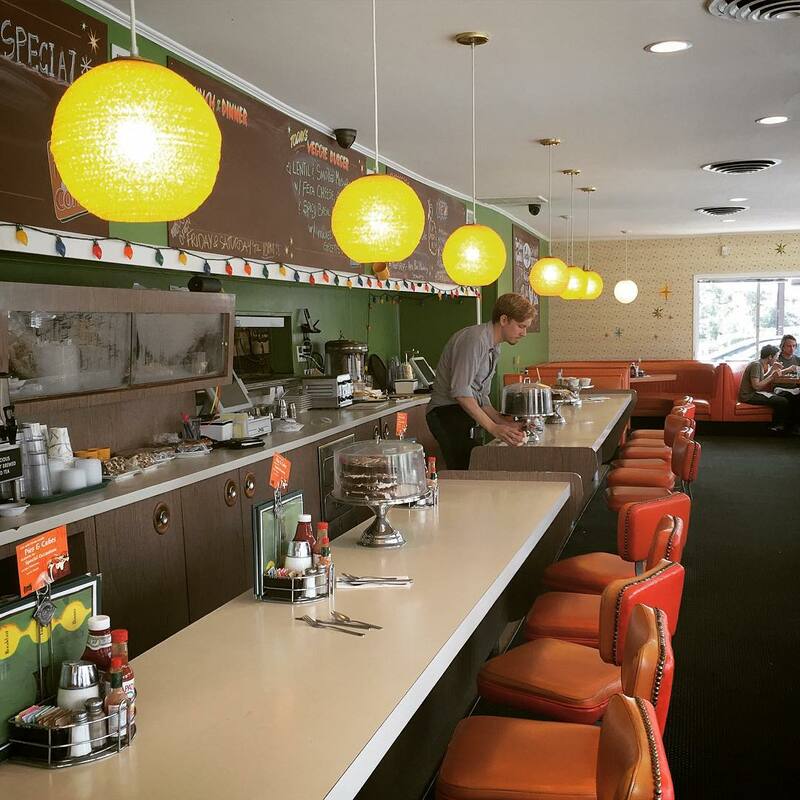 American diner with a retro feel serving burgers, pancakes & some offbeat international options. 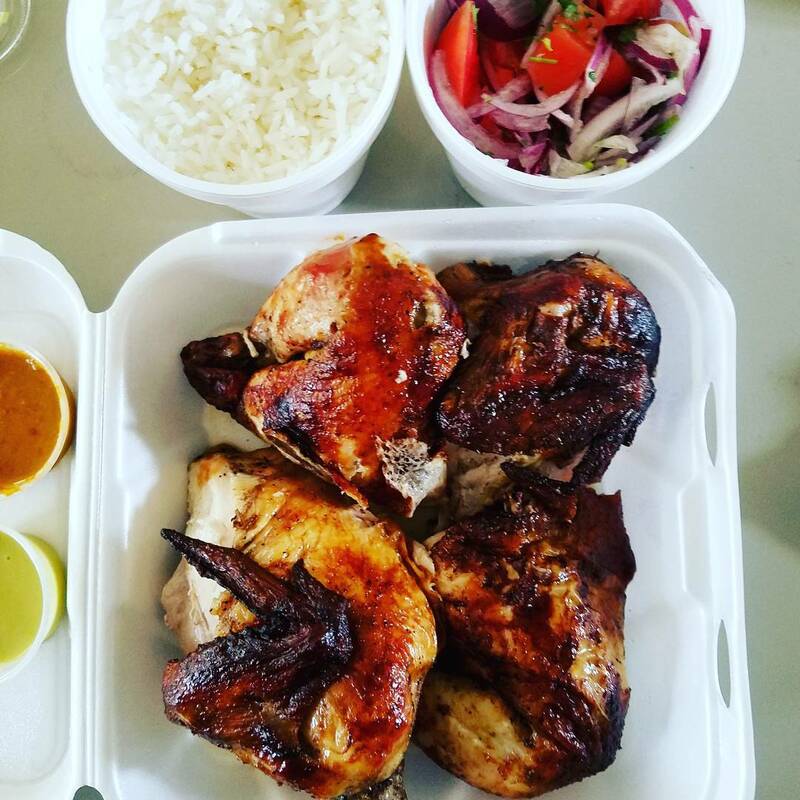 Pollos A La Brasa in Eagle Rock serves hearty portions of Latin American cuisine in Los Angeles. You can also grab your food to go. Retailer carrying a broad selection of beer from small American breweries. Some offer classes. Cafe with espresso & light fare, plus free WiFi, a laptop-free area, kids' play space & patio. Specialty coffee & tea drinks served with a curated selection of baked goods in a stylish setting.